Remember when, as a kid, you couldn’t wait to grow up and do exciting adult things like staying up late, watching what you want on TV, and eating whatever you want without anyone there to tell you what to do? At age five, or 10, or 15, growing up seemed like such a grand adventure, a milestone we all reached toward. It was hard being a kid, after all. And then … you grew up … and longed for your childhood. As a newly minted adult, you spent a lot less time lounging in a hip New York coffee house with your quirky cast of friends (a la “Friends”) and more time slogging through the days, paying bills, worrying about a dishwasher leak, and moving haystacks of laundry from room to room … all fueled by enormous coffee consumption. We at Trex® Outdoor Furniture™ remember what it was like to be children. We didn’t envision spending all our time cleaning house either. And we actually designed all our outdoor furniture to minimize the mundane task of cleaning. 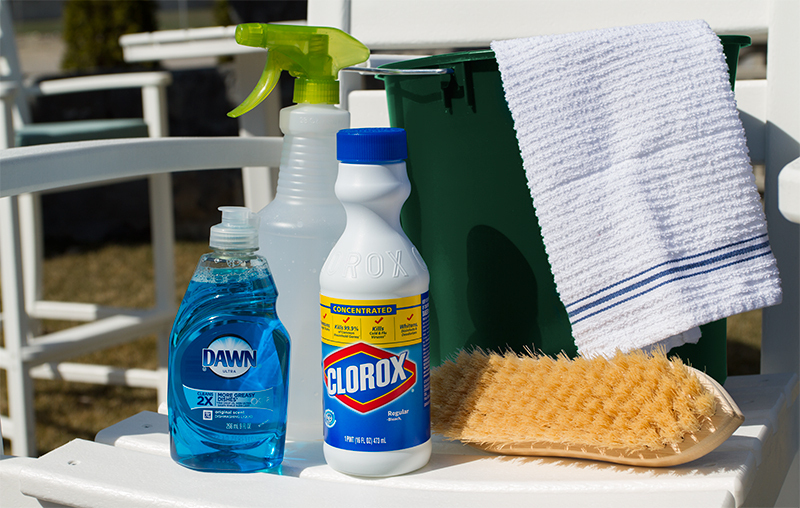 When your Trex® Outdoor Furniture™ does need cleaning, we keep it simple. That’s it. Well … and maybe a little bleach. Think of this cleaning like a dental checkup. Once every so often, it’s nice to have someone else really get in there and polish your teeth till they look brand-new. 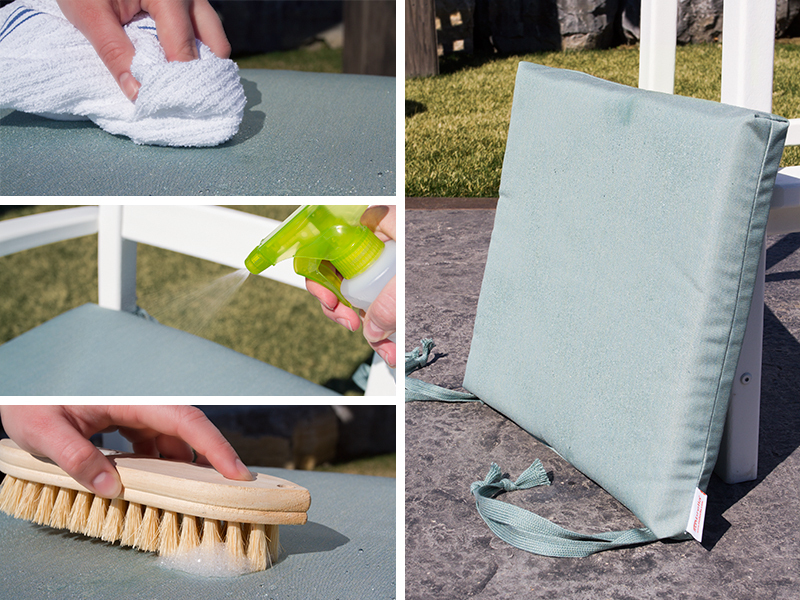 Sunbrella® fabric covers all Trex Outdoor Furniture cushions. Apply similar cleaning principles as the furniture. For grease stains: apply a natural absorbent like cornstarch, allow to sit and absorb stain. Remove cornstarch once grease has been removed, then follow steps above, if needed. 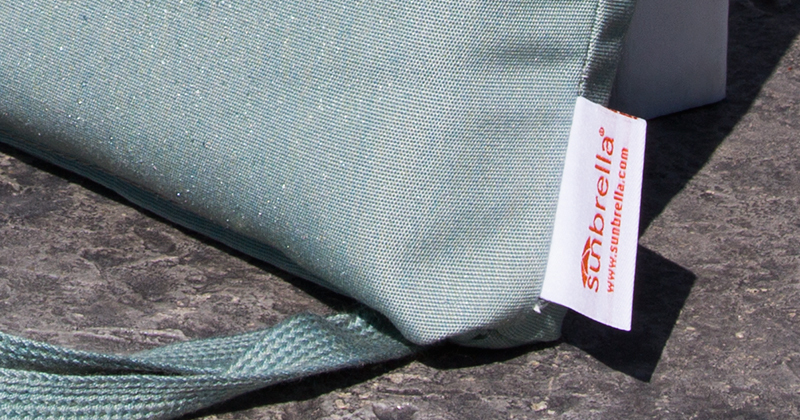 Although the fabric has moisture-wicking properties, Sunbrella reports that debris left on cushions exposed to damp or wet conditions may foster mold or mildew growth. To remove, prepare a solution of 1 cup of bleach and 1/4 cup mild soap per gallon of water. 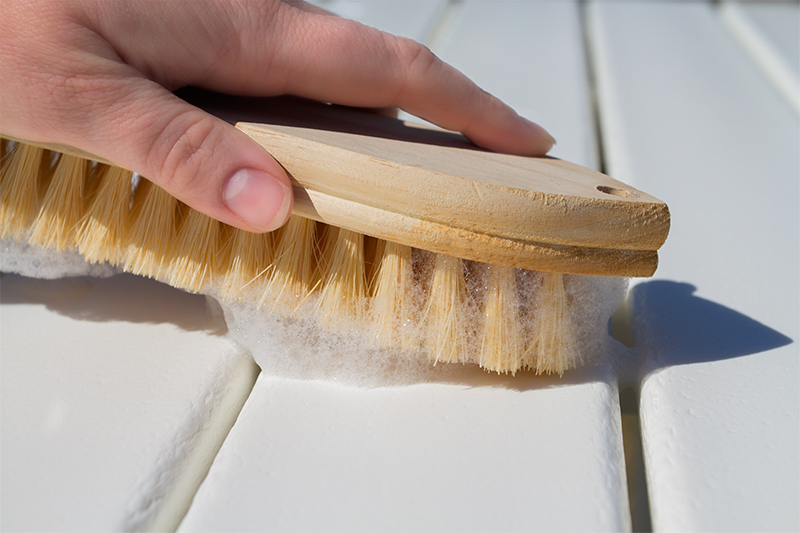 Spray surface, allowing to sit for 15 minutes before cleaning with a soft-bristle brush or sponge, rinse well and allow to air dry–propping cushions on their sides for a quicker dry time. You may not get to sit around acting out your ’90s sitcom fantasies, but at the very least, while you’re busy mopping your kitchen floors, taking the dog for a walk (again! ), or washing mountains of laundry, you won’t have to worry about your outdoor furniture. Grease stains are annoying to deal with, this is the first time I’ve seen tips on how to deal with them though. Maybe now it will be easier now that I know to use cornstarch. We have spilled on our outdoor furniture countless times, now I can put a stop to the permanent stains. Brilliant advise! Have you had any problems with the bleach doing any damage to the furniture or the cushions? Thank you! We haven’t had any issues with the diluted bleach solution discoloring the lumber, and the bleach/water recipe is actually recommended by Sunbrella® particularly for their fabrics. If you wanted to be extra safe you could opt for a color safe bleach. 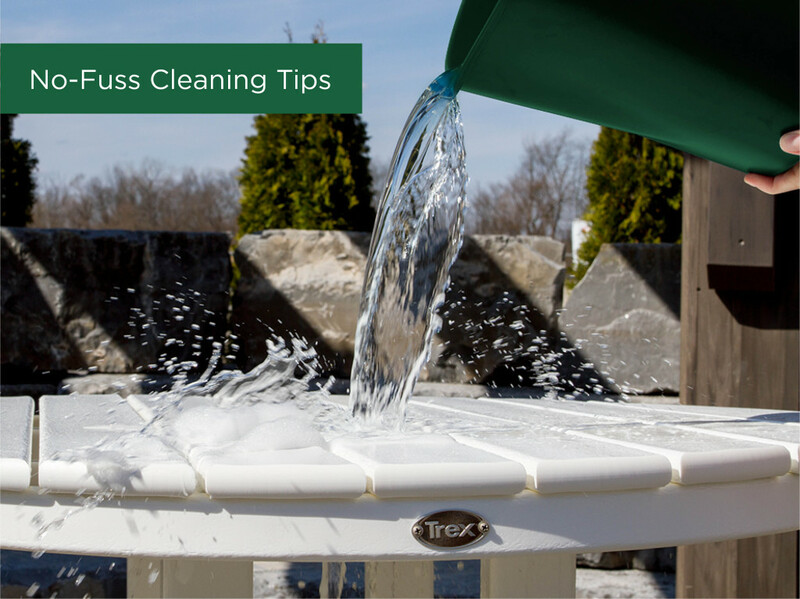 Using a pressure washer is a great option if you really need to do some deep cleaning. I’ll have to keep these tips in mind. Thank you for sharing the tips. Cheers for that brilliant write up. I love how you wrote that.